My son Christopher joined the Link Primary School in September, 1996. He had previously been a student at a mainstream primary school which had a language opportunity base attached. I distinctly remember visiting the primary school when a decision was made that his current primary school was not going to be able to meet Christopher’s needs. The feeling I got was that of a welcoming, nurturing environment which instantly made me think that this was the only school for my son….I was not disappointed. When he joined the school Christopher was a very anxious child with frequent bouts of difficult behaviours including outbursts. The school introduced strategies which helped him to alleviate the anxiety caused by changes in routine and his lack of understanding. 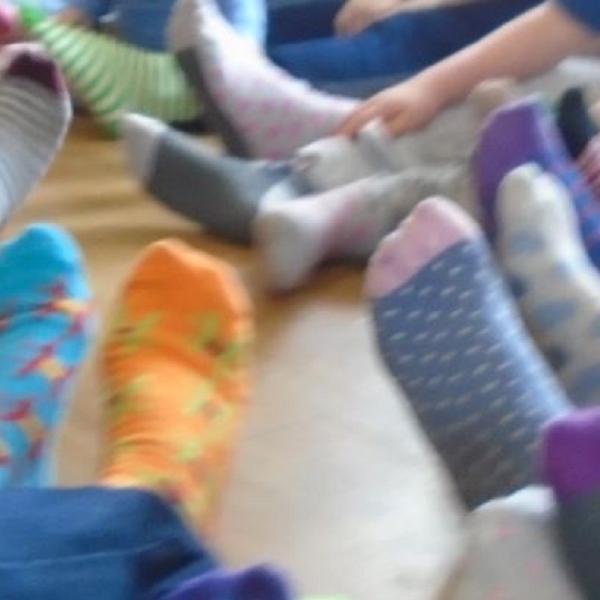 His anxieties slowly relaxed with the support he received from the staff at the school and by Christmas he was taking part in school activities with a “smile and a dance”. The school was also paramount in alleviating Christopher’s anxieties around food with him starting to eat small amounts of school dinners, something which had not been addressed in school before. As Christopher progressed from the primary school to the Link Secondary School most of the ground work had been done. He continued to flourish in the Secondary school with the support and expertise of an experienced staff. The calmness and ethos of the schools enabled him to thrive. Our daughter joined the Link Primary school in September 2012, when she had just turned 7 years old. Prior to this, she attended a specialist unit for children with learning difficulties within a mainstream school. She spent her nursery years at a Montessori pre-school, with additional support. Whilst at her previous school, there were on-going problems with her behaviour. We were frequently being taken aside by the teacher or telephoned by the school about the latest ‘incident’. Her progress at the school was extremely slow so we engaged several independent experts for an assessment her to find out how we could best help her. The assessments, carried out by an Educational Psychologist, Speech and Language Therapist and Occupational Therapist, concluded that the existing school was not the right environment for her. She was struggling because she was experiencing sensory overload. They recommended a smaller, specialist school, with Speech and Language and Occupational Therapy. We started looking for a different school immediately. The Directory of Special Schools was really helpful. We visited many schools, but as soon as we walked into the Link Primary School, we instinctively knew it would be good for her. The Headteacher, showed us around and spent as much time with us as we needed. It provided all the therapies we had been told she needed and could provide support with her learning difficulties. None of the other schools we had visited compared favourably with The Link. It took us a year to transfer our daughter into the Link Primary school. We were strongly advised against moving her to a different school by the Headteacher of the mainstream school, who thought the move would be too disruptive for her. However, she settled immediately at The Link and progressed well with her learning, especially with her reading, writing and numbers. Furthermore, there have never been any difficulties here with her behaviour. Everything just seemed to click. Our daughter’s understanding of what is going on has also improved. She used to be very random and chaotic and had difficulty making sense of the world. She is now more orderly and far more cooperative. The structure and support has helped her as well as the environment and friendships. The holistic approach of the school has been really beneficial. The Link School is very special. What really stands out are the dedicated team of teachers, therapists and support staff. They provide a wonderful learning environment for the children, really know them well and understand what makes them tick. They have a lot of respect for the children and really value them. This has helped our daughter’s self-esteem and independence and has made family life less frustrating. 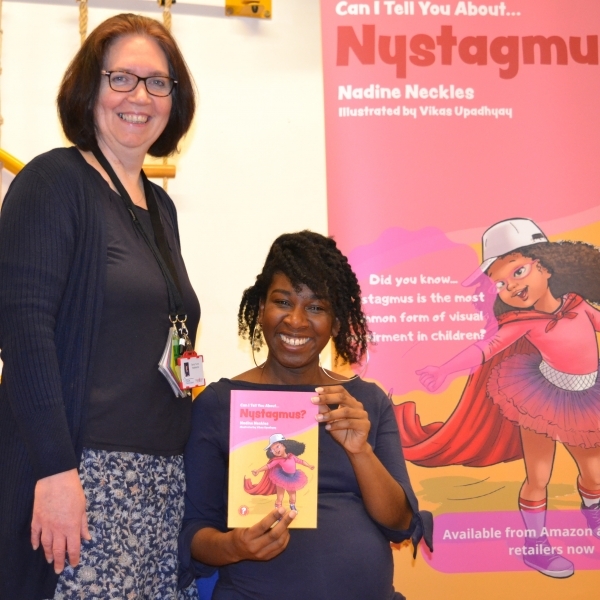 At her previous school, she would have a Speech and Language Therapist visit the school once a week for a 30 minute session shared with another child. 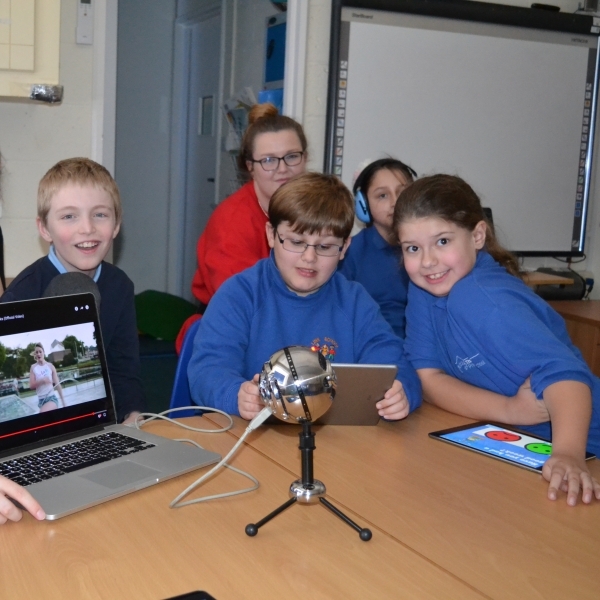 At the Link, Speech and Language and Occupational Therapy are integral to the school day. This has helped with her interaction, understanding, communication and gross and fine motor skills. Our daughter loves school and her favourite things are seeing her friends and teachers, dancing, playtime, cooking, yoga, swimming and the ‘weekend news’. There are regular outings and she has really enjoyed the residential trips. From a parent perspective, the whole school community has been great. The teachers are always available and really listen to parent concerns, no matter how small. They are very supportive and there is good open communication. There are also many opportunities to meet and socialise with other parents from Mother’s Day lunch to information evenings, parent workshops and fund raising/social events. It is wonderful for the children to be in the new school building, with the extra space and facilities. We are so pleased that our daughter has benefitted from four years at the school. She has been so happy here and made really good progress. We feel that her time at the Link Primary School couldn’t have been better. I will never forget that I sent James to The Link unable to understand his speech. After one term, we could communicate. Equally important, The Link gave James the structure and rules that he needed. Forever in your debt Team Link. Oliver joined the Link Primary school in September 2004 when he was six years old. We immediately liked the feel of the school and how family oriented it was. We did look at other schools but knew with the focus on communication, the environment and small classes that the Link Primary School would be the best place for Oliver. Oliver was a very anxious boy and he was also very noise sensitive and the Link helped reduce his anxiety so he could access learning. The small classes, the staff and intense speech and language therapy and occupational therapy helped him thrive. Oliver had a really happy time at the Link Primary school. All the teachers were lovely and we feel so lucky he went there as it could have been so different if we hadn’t got the right place for him. The five years Oliver had at the primary, from age 6 to 11, were the most important and crucial years for him. He developed so many skills. The interventions were relevant for Oliver and helped him gain reading and writing skills and many other things. It is hard to think what the school didn’t help him with. Oliver was diagnosed with a communication disorder on the autistic spectrum, oral dyspraxia, global learning difficulties and delayed speech when he was 3 and half years old. After Oliver’s first year at the Link Primary school we noticed a real difference. We could see he was relaxing and this enabled him to access learning. He was very happy to go to school. He really enjoyed the speech and language and occupational health sessions as the staff made them fun and he built up really good relationships with staff. Oliver made good progress during his time at the Link. His speech improved as did his walking. His confidence was the most noticeable and he would have a go at anything. From a parent perspective, we really felt part of the Link family. There were coffee mornings every Friday at the school and they provided a helpful and supportive care group. Staff would also join parents for coffee and it was a good opportunity to get to know the therapists and teachers. The coffee mornings were so valuable and I still look back on these sessions. The school also provided workshops for parents and these were incredibly helpful. There were always opportunities to go into school and we really felt part of the school community. The communication between home and school was open and messages always got through. We always felt we were listened to. For any parent who is considering the Link Primary school I would say ‘don’t hesitate’. It is a remarkable school and what goes on is very special. If you find a school like the Link you are very lucky. Your child will be so well looked after and their individual needs will be met. The Link staff are totally committed and treat each child individually and provide support, care and a happy and safe environment. Marvellous things happen at the Link Primary school. I feel totally blessed that Oliver went to the Link Primary school. It was such a crucial time for him. I can’t say enough about it really. It is very, very special. Thomas joined the Link Primary school in September 2010 at the start of Year 3. Prior to joining the Link, Thomas was at an Infants School for one and a half years where he had 1:1 support. Before this he attended a specialist nursery in addition to a mainstream nursery. Thomas was initially diagnosed as being on the autistic spectrum but after further tests a diagnosis of Fragile X Syndrome was confirmed when he was three and a half years old. We realised in Year 2 that the gap in Thomas’s cognitive ability and social skills was becoming wider and it became clear that he would need to access a specialist school. Thomas would have had to move from infant to junior school so the time to look for a change in school was at natural transition stage for him. This was probably one of the hardest decisions we have had to make but we knew it was in the best interest for Thomas continuing education. The move to the Link Primary school was surprisingly very straightforward. 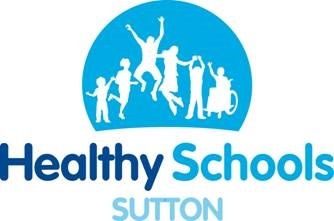 We visited a few local specialist schools at the beginning of Year 2 and decided that the Link would be the most appropriate for Thomas as it provided a holistic approach with small classes and high levels of support and speech and language and occupational therapy. Once Thomas joined the Link he settled in very well and he was very happy. The environment was right for Thomas as it was structured and visual. Getting access to speech and language and occupational therapy every day meant that Thomas could access the education and curriculum and learn effectively. We noticed a structured approach to learning assisted an improvement in skills. 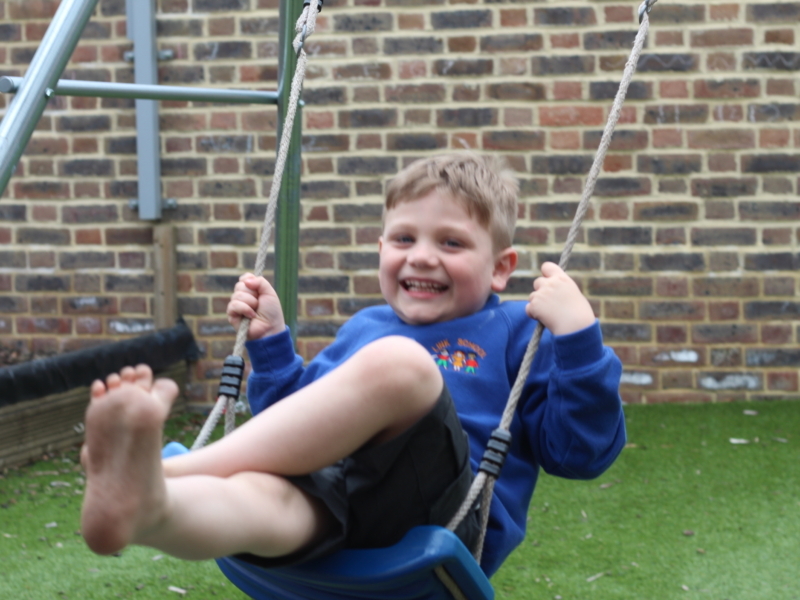 Thomas still had some behavioural issues when he got excited or had a sensory overload which is a symptom of his Fragile X Syndrome but the Link worked with Thomas to manage this. Thomas’s favourite time at school was playtime. He also loved history and learning about WW2. He liked gaining knowledge about subjects that relate to people he knows or knows about, especially family members, including grandparents. He was very keen to be involved and enjoyed participating in everything. He felt very comfortable at the Link and has reduced issues due to the clear structure. 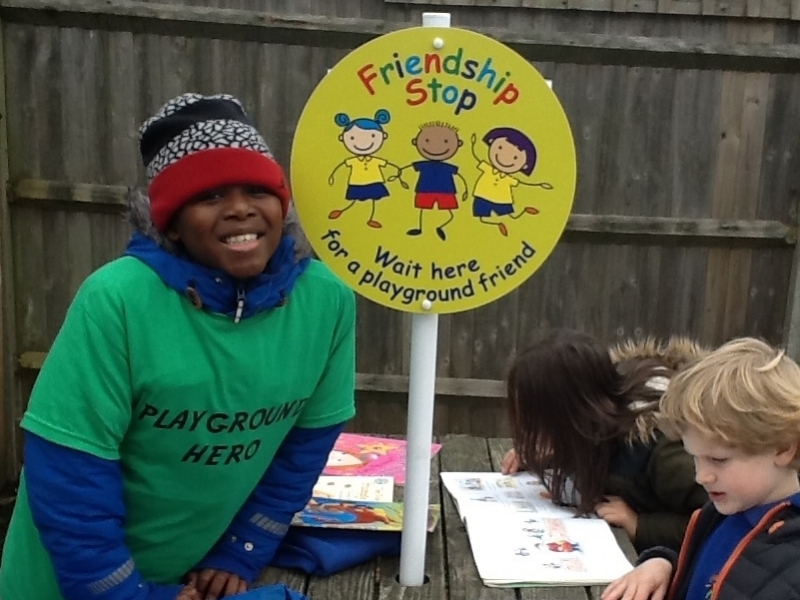 Thomas made good friends at school and was very protective of his class group, calling them ‘my boys’ and enjoyed football with them in the playground. The communication between the school and home was very good and integral in fostering good relationships with parents. The school would take on board all the slight differences for Thomas and they would seek to communicate any issues as they arose. We always felt part of the whole school team and appreciated the schools holistic approach. The parent community at the school was very strong, supportive and positive. There were many opportunities to meet other parents at school events or when outside speakers would come into school. 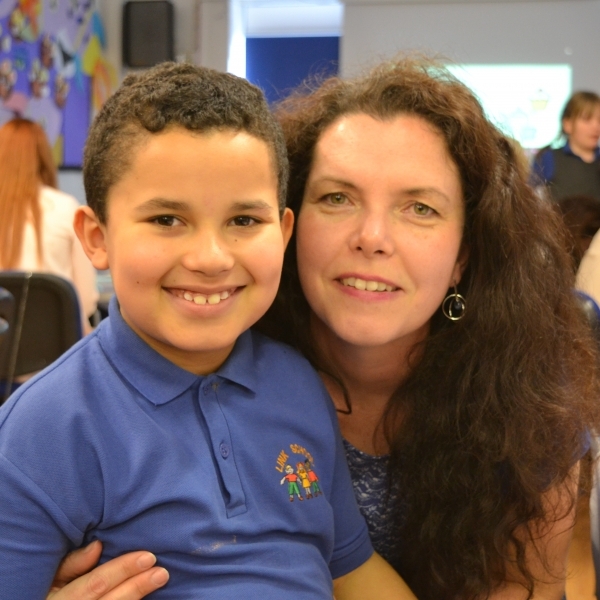 In Thomas’s final year at primary we saw a great increase in his independence and how he could do things for himself. 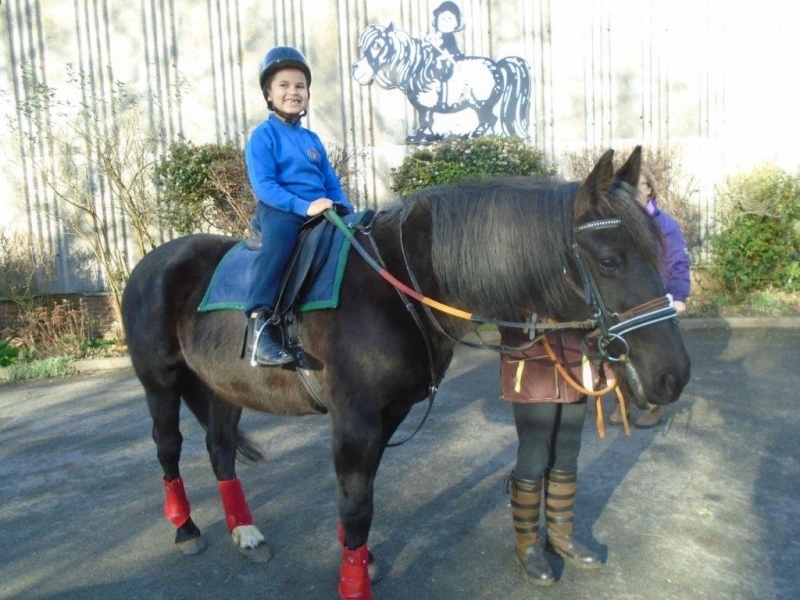 His communication skills had improved and he remained a happy boy with Increased confidence and self-esteem. The Link Primary school is a small school where children will develop and fully access the curriculum. It provides a holistic and child centred approach. The therapies at the school make it special. The teachers, occupational therapists and speech and language therapists all work well together as a cohesive unit. 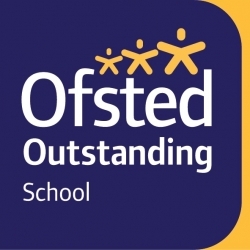 They treat all children individually and strive for them to achieve their potential whilst also involving parents and treating them as part of the team. Tara was five when she joined the Link Primary School. 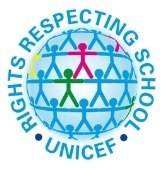 She had attended a mainstream school for about a year prior to joining the Link which was a difficult experience for her as the school was not tuned in with her needs and she was being excluded from school for her behaviour. It really was a difficult time and Tara was very anxious. Tara started at the Link Primary school in January 2005 and her transformation was phenomenal. Friends and family could not believe the difference in her. She thrived in the small, nurturing and caring environment. The first thing that changed was her behaviour. She was more relaxed, calm and not agitated because she was getting the sensory and therapy support she needed which reduced her anxiety levels. The therapies really helped Tara but most importantly all the staff really understood Tara and her needs were properly met and as a result her behaviour improved rapidly. It was a holistic approach. Tara also benefited from the small social group in the classroom. They were a good peer group for Tara and she had good friends. As a parent, I really felt part of the school and was supported. I have many happy memories of the school and I was always made to feel very welcome. Getting access to teachers and therapists was easy and there were regular parent mornings held where talks were given on a variety of subjects. There were a lot of opportunities to meet other parents. We were kept well informed on Tara’s progress at every annual review and class meeting. Nothing came as a shock. We were provided with a lot of information to help Tara outside of class. The residential trips were definitely the highlight for Tara. She went on three trips during her time at the Link and the staff made it work 100% for the children. Tara blossomed on those trips and her confidence really grew. Graham joined the Link Primary school in May 2010 during Year 3. Prior to joining the Link, Graham was at a mainstream primary school where he had 1:1 support. However, the school became concerned because Graham was losing speech and felt that that there was not enough speech and language and occupational therapy for him at the school and the environment was too busy for him. Graham’s singing stopped and ‘No’ was his predominate word or he would use his fingers to communicate and he eventually became non-verbal. Graham had speech from when he was one and a half years old and was constantly chatting and singing nursery rhymes and songs. His reading and talking were good but his interaction skills were minimal. Graham has a visual impairment and has right side cerebral palsy which affected his walking. He was diagnosed with autism in Year 1 and it was from that point that we started to look at other options for Graham. We contacted other parents for advice and got a list of special schools from the internet. We visited the Link Primary school with the SENCO from his school and immediately we were struck by how calm it was and the loving and nurturing environment. I remember looking at the SENCO and we both said ‘this is the school for Graham’. There was also the lovely smell of banana cake from the cooking class and to this day I always associate banana cake with the Link Primary school. After joining the Link Primary school Graham was also diagnosed with speech, language and communication needs and learning difficulties. Once Graham started at the Link Primary School he gradually started to pick up speech. Whenever he came home from school I would ask him ‘what have you done at school today’ or ‘how was school?’ I remember a day in July 2010, I didn’t ask Graham how he got on at school and Graham said to me ‘How was school today, my son? It was Graham’s first full sentence in one and a half years. From then onwards, the two way interaction continued and improved. For example, he would go horse-riding and would tell me about it without me even asking. From that point onwards we noticed that Graham’s ability to notice his surroundings and interacting with other people had improved. He would greet people with a hello and comment on their clothing or ask for things. As Graham’s confidence improved so did his walking and he was able to go into the garden. There were also improvements in his diet and he was eating more fruit. Graham would bring home food he had cooked at school and he had a real sense of pride in doing things. The staff at the Link helped us to understand Graham. We took part in the yoga and massage programme to help with our bonding with Graham. The school also provided specialists and experts for parents, for example on sleeping disorders and visiting autism specialists. At the Link, the parents and all the staff are part of the same journey. We never felt isolated and we were one team working for Graham. The Link provides a Holistic environment. Every member of staff is on board to help and support the children and families. Any staff member can be approached and they will respond. You don’t have to wait and speak to the right person. It is so rare to get that in schools. We were always given the opportunity to come into school. In particular we were invited to come in and talk about our culture on international day and story week. It is lovely for the children to see their parents involved in the school. The communication between school and parents was very good and the newsletters in particular were very helpful as well as the home school communication book. If there was any change we would be notified. Graham’s favourite things at the Link were horse-riding, education city, maths programme, swimming, and cooking. These activities helped us to have tangible conversations at home and improved his interaction. The Link is a fantastic school because it builds strong relationships and trust with families. It is very important that parents have trust in the school. Graham had three and a half wonderful years at the Link Primary school and left in 2013. The school supported us and Graham as he was leaving the school and guidance was there all the time.